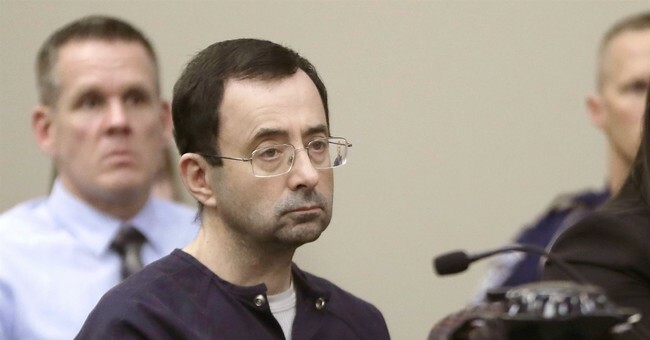 USA Gymnastics filed for Chapter 11 bankruptcy Wednesday following a slew of lawsuits from victims of former USA Gymnastics doctor Larry Nassar who allegedly molested hundreds of girls under the guise of medical treatment. The group is facing 100 lawsuits from 350 gymnasts over the organization’s failure to address the Nassar scandal. Their bankruptcy filing will halt depositions and discovery related to USA Gymnastics in the victims’ lawsuits. The move would also halt the US Olympic Committee’s Section 8 complaint to strip USA Gymnastics of its role as the sport’s official, national governing body. Carson said the filing "is not a liquidation," but "a reorganization." "We owe it to the survivors to resolve, fully and finally, claims based on the horrific acts of the past and, through this process, seek to expedite resolution and help them move forward," she said. John Manly, a lawyer representing 180 alleged victims of Nassar, said the filing was just another of the organization’s many failures. “Today’s bankruptcy filing by USA Gymnastics was the inevitable result of the inability of this organization to meet its core responsibility of protecting its athlete members from abuse," Manly said. The former head of USA Gymnastics, Steve Penny, was arrested recently on charges of tampering with evidence in Nassar’s case. Nassar has been sentenced to 40 to 175 years in Michigan for his abuse of young athletes and he is also facing six counts of sexual assault of a child in Texas, according to prosecutors.